Cleveland artist George Kozmon is pleased his late teacher's work is being recognized. The wit, whimsy, and infectious enthusiasm of a Cleveland art teacher is being celebrated. In today’s State of the Arts, many former students are seeing their late teacher’s paintings for the first time in a retrospective of his work. Entering the Tregoning Art Gallery a huge colorful canvas strikes the eye. It’s full of meticulous realism, and elaborate fantasy. And it’s one of many paintings native Clevelander Anthony Eterovich made of his home town. Anthony Eterovich imagined Michelangelo in front of Cleveland's Soldiers and Sailor's Monument. Eterovich was inspired by his city, and by his choreographer wife Alice, throughout his long career. He lived to be 95. Tregoning points to a painting Eterovich made in his early 80s. Eterovich taught in the Cleveland public schools and the Cleveland Institute of Art for more than half a century. 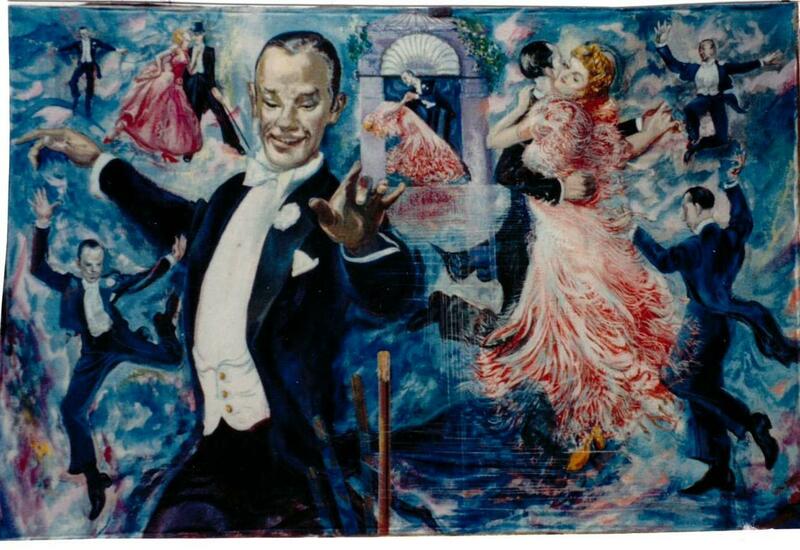 Eterovich painted this in his 80s while he was still ballroom dancing with his wife Alice, who studied modern dance with Martha Graham. Tregoning only discovered his own art work after the teacher’s death five years ago. He wondered why he’d never seen it before but found out neither had many of his students. George Kozmon, now a teacher and professional artist himself, says the exhibition captures his late teacher’s spirit. 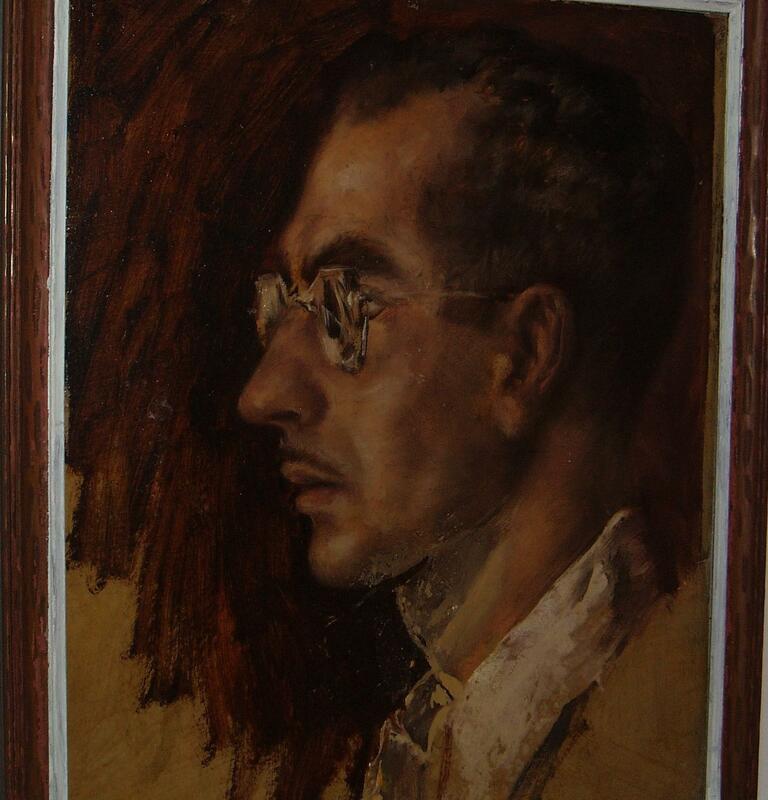 Eterovich painted this self portrait in 1945 after serving in the US Army during WWII. Vivid colors dazzle the eye. Tregoning says Eterovich was influenced by a post war movement called magic realism. Former student George Kozmon says the exhibition shows how Eterovich was influenced by other movements, too. Many of the works are large. Tregoning assembled 70 paintings with subjects varying from family and friends to movies, ballet, modern dance, and urban life. New York art dealer Edith Halpert was taken with Eterovich after seeing his work in the 1951 Cleveland Museum of Art May Show and invited him to exhibit his "Table Charade" in her Upper East Side gallery. That’s where he says Anthony Eterovich sparked his imagination.